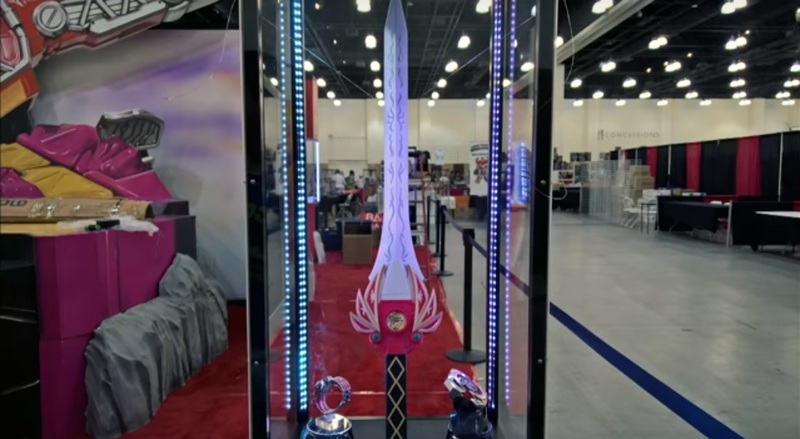 Here's another scoop from Neo Saban Power Rangers: a 1:1 scale of the original Red Ranger's signature weapon, the Power Sword has been unveiled at Bandai America's booth! 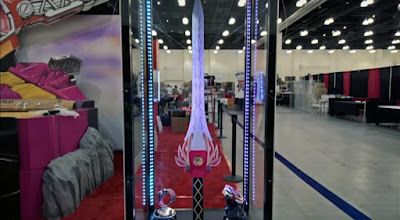 Introducing the Legacy Power Sword! Nobody has seen this coming! Let's hope that they will release all the remaining ranger weapons and that they can combine into the Power blaster. Stay tuned for the rest of info and release date. They're just going to keep milking it, aren't they? How long until the Legacy Red Ranger suit? that comes with the Legacy Power Grid, which requires the use of a newer version of the Legacy Legacy Morphers and Power Coins. We're closer to a 1:1 Dragon Dagger!